In March 2017, TCN rejoined the Australian Collectors and Debt Buyers Association (ACDBA) for the organization’s annual forum. The forum covers updates and trends in the debt collection industry, as well as best practices for agencies, companies, and individuals working within it. To that end, ACDBA promotes its Code of Practice and Code Compliance Monitoring Committee (CMC) Charter, established during last year’s forum. ACDBA requires organization members to adhere to the Code’s guidelines regarding general “good behavior” in addition to complying with current compliance standards and regulations. The CMC secures the Code, monitoring ACDBA members and investigating consumer complaints and breaches of etiquette. TCN, and its partner CreditSoft, are proud supporters of the ACDBA. The ACDBA’s commitment to excellence in debt collection mirrors TCN’s own. TCN and ACDBA understand that committing to a code of conduct beyond the minimum standards of compliance provides benefits to the entire industry. The commitment enables debt collectors and buyers to do their jobs, prevents misconduct, and potentially increases consumers’ promises to pay. ACDBA regularly publishes demographic studies of its members so as to generate a picture of the debt collection industry. As of June 2016, the following three statements stand true. 1. Debt collectors, either independent or employees of a collection agency, and debt buyers handle more than $19.5 billion in debt, spanning 5.9 million files under management. 2. Of those files, 39 percent fall under contingency (debt) collections. Debt purchases compose the remaining 61 percent. 3. ACDBA members achieved more than 63.2 million consumer contacts last year. These contact points ranged from letters to emails, and from phone calls to SMS text messages. TCN’s interest in the results center on the final point. TCN Platform 3.0, a cloud-based call center solution, helps debt collectors, debt buyers, and collection agencies reach more consumers via a variety of communication channels. This year’s debt forum also complements TCN’s mission and product offering. Sessions like “Building a High-Performing Workforce” and “Digital Communications in Large-Scale Collections” hold import for the software company. TCN’s leaders regularly champion how best to increase agent productivity, efficiency, and innovation. TCN leadership also believes in the power of omni-channel communications. Through SMS text messages — a new feature of TCN Platform 3.0 — improved interactive voice response (IVR), online chat functions and customer self-service options, debt collectors and buyers can streamline operations. Those same channels often produce other advantages, too, such as increased efficacy and customer satisfaction. TCN’s presence at the clouds session unfortunately meant missing Sue Fraser’s panel, “Changing the Conversation.” Fraser and co-panelists discussed how empathy and respectful language enhance company’s reputations, mitigate consumer complaints, and secure guarantees to pay. Other sessions examined the role of data in debt collection, another point of convergence for TCN. Data is important. It affects agents’ ability to interact with and retain customers and patients. Data, though, impacts other functions within the agency, as in the cases of financial forecasting, business development, and optimized operations. As debt collectors and purchasers become increasingly aware of data’s potential to improve their organizations and generate profits, conversations about data collection and use will only increase. TCN is glad to have returned to the ACDBA debt forum this year. The sessions contained great information and insights that TCN plans to implement going forward. After all, it’s the best way to continue moving the debt collection industry in a positive direction. Curious about how TCN helps ACDBA members facilitate right-party contacts and promises to pay? Request a demo today. Li Tiatia serves as the Vice President of Professional Services and Client Support for TCN. In this role, he is responsible for implementation, operation and training organizations and management of customer care services. Li brings 20+ years of extensive background in business management, business process, contact center operations & management, command center operations and workforce management to TCN. 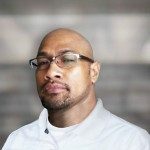 Prior to joining TCN, Li worked with Convergys Corporation, based in Salt Lake City, where he managed several departments, including operations, business forecasting, workforce forecasting & scheduling and client/site implementations. He held several positions during his tenure with the company, working his way up to the position of Senior Manager at Convergys Corporation where he oversaw the global workforce management business process organization from 2000 to 2006. Originally from Samoa, their family migrated to Hawaii to continue his education. Li attended the Naval Academy, Brigham Young University of Hawaii and later earned a degree in Tourism and Airline Management from the International Air Academy in Vancouver, Washington, graduating with honors.